Happy Thursday, lovelies! We are thrilled that bright colors are starting to make their way into your looks lately and love that you are as ready for spring as we are! As always, thank you so much to everyone who linked up with us last week! We are very excited to see what everyone has styled this week. 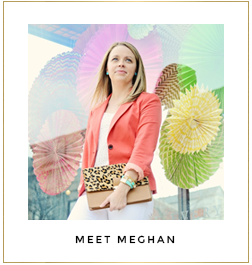 So get linked up, meet some new blog buddies, and check out these fabulous ladies while you're at it! Maggie of Moda & the Mar looks gorgeous in this chic look. We love the layered denim jacket with her fabulous Minnie pants and those fun heels! This would be a perfect look for a day to night event. Elise of Hunters of Happiness perfectly paired gingham and her bright puffer vest with her new sneakers. Aren't they the cutest? We will definitely be on the look out for a pair of our own! 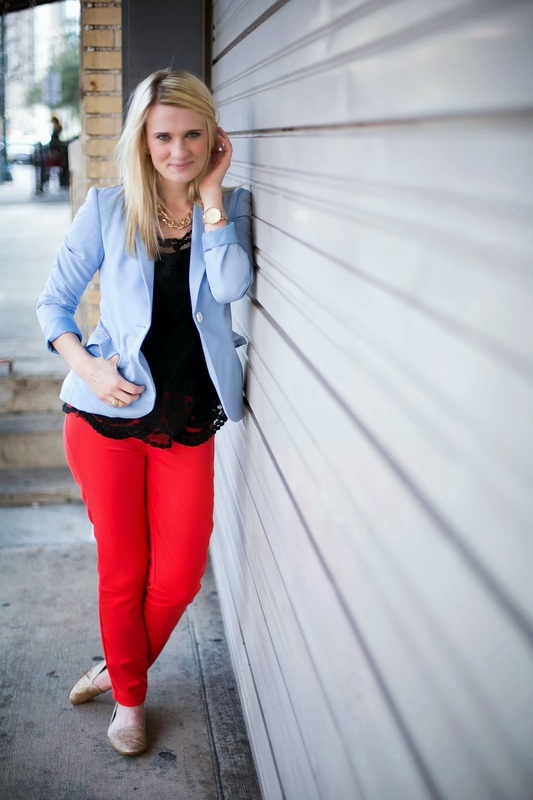 Meg of Everyday Meg is breaking in a new pair of red pants the right way! We love this color combo and how she kept her accessories simple. Such a great spring transition look! P.S. 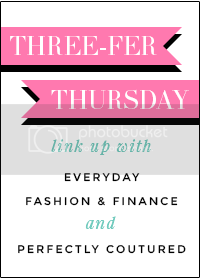 Help celebrate Everyday Fashion & Finance's first birthday by entering the Pure Stunning giveaway!